Located in West Sedona, this condo is within 3 miles (5 km) of Amitabha Stupa, Sunset Trail and Crescent Moon Ranch. Sugarloaf Mountain Trailhead is 3 mi (4.8 km) away. Along with 4 outdoor pools, this smoke-free condo has a fitness centre and WiFi in public areas. Self parking is free. Additionally, concierge services, laundry facilities and a 24-hour front desk are on-site. Each condo provides a living room and a dining area, plus WiFi and a patio. Guests can appreciate conveniences, such as a fridge and a microwave, and other amenities include a coffee/tea maker and cable TV. 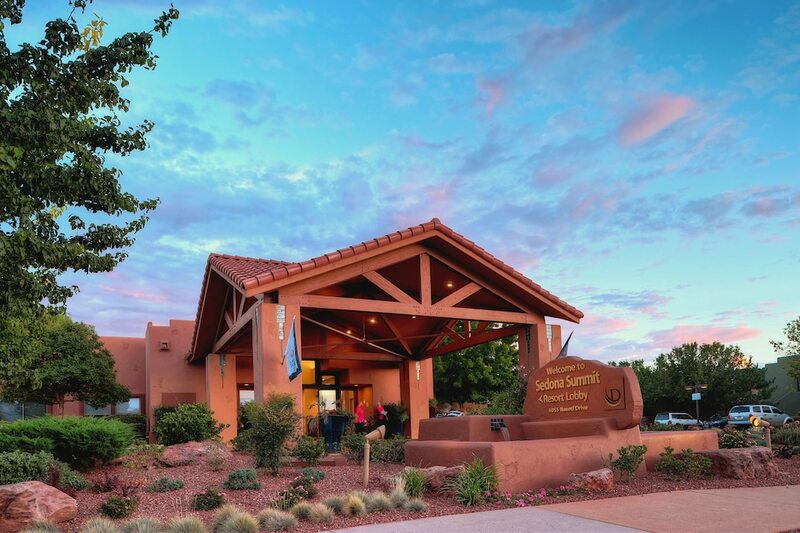 Sedona Summit Resort by Diamond Resorts features 4 the outdoor swimming pools, 6 hot tubs and a fitness centre. Wireless Internet access is available at a surcharge. This Sedona condo also offers tour or ticket assistance, a BBQ and an arcade/games room. Complimentary self-parking is available on-site. 4 the outdoor swimming pools and 6 hot tubs are on site. Other recreational amenities include a fitness centre. This property's WiFi access and reception may be limited due to the resort's location. For more details, please contact the property using the information on the reservation confirmation received after booking.